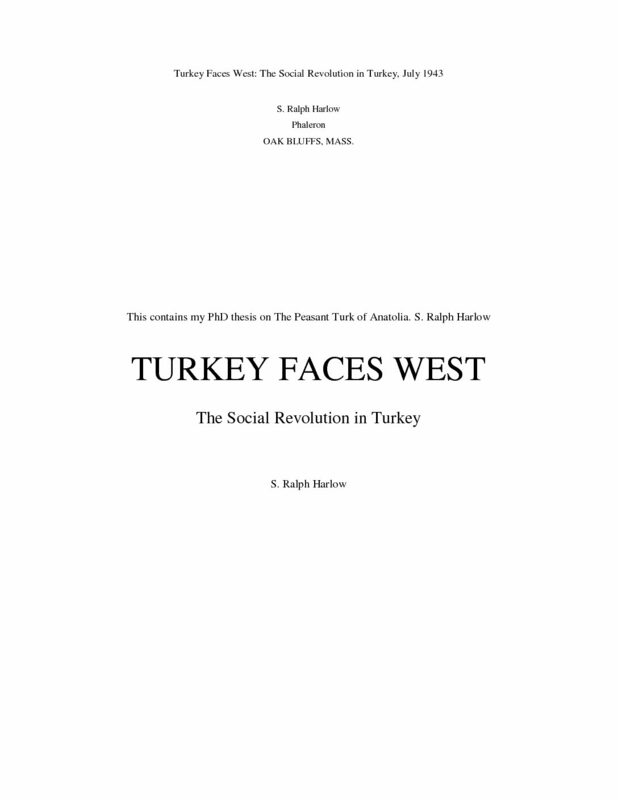 This book is not an attempt to deal with the present war but with the sociological and religious traditions and habits of thought that lie back of the struggle for reform in Turkey and throughout the Moslem World. The writer lived for ten years in Turkey, from 1912 to 1922, during the period of transition, and has revisited Turkey twice in the last decade, covering hundreds of miles in the interior, as well as spending weeks in the former capital, Istanbul. The chapters is this book seek to enlighten those who would gain deeper insight into the age long traditions and customs, which were the social structure of the thought and life of the people when Kemal Atatürk began his great reform movement.